LEGAZPI CITY (Dec. 13) – Ligao makes its mark again on the Biggest Traditionally Colorful Yuletide Singing and Dancing Competition. 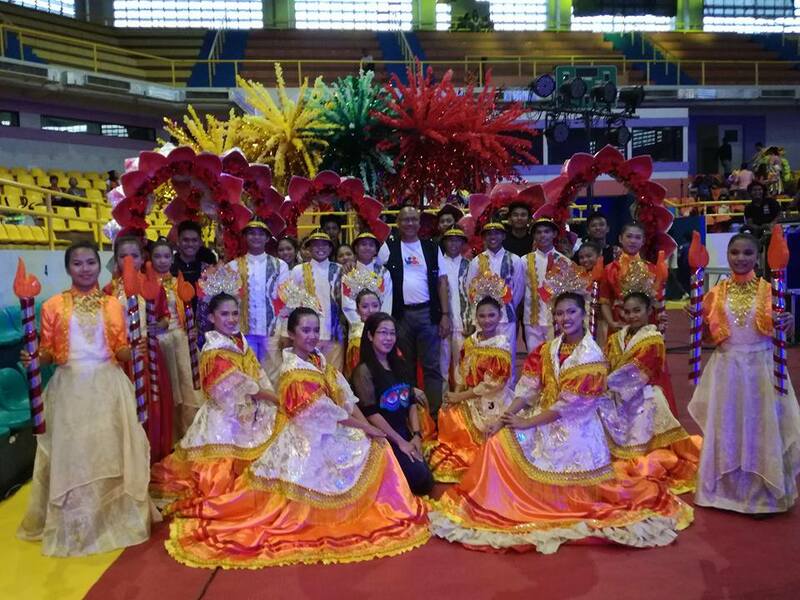 getting a sweep of the major and special prizes as it took home its Grand Champion title in the exciting "Bicol Pastores 2017” at the Ibalong Centrum for Recreation, Barangay Bitano, here. Dancing to the tune of “Pastores A Belen” and a generous dose of Christmas cheer, Sunflower Pastores proved their talent and won the two Special Prize respectively; Best in Street Dance and Best in Costume and netted the total cash prize of P120K (P100K for Grand Champion, P10K for Best in Street Dance & P10K for Best in Costume. Other winners for Bicol Pastores 2017 are: 1st Runner-up “Pilar Parau Pastores of Pilar, Sorsogon –P75K; and 2nd Runner-up “Sarung Banggi Dance Troupe” of Sto. Domingo, Albay- P50K. For the special prizes here are the winners Best in Street Dance: 1st Runner-up “Pilar Parau Pastores” of Sorsogon-P8K and 2nd Runner-up “Sarung Banggi Dance Troupe”- P5K. Best in Costume: 1st Runner-up “ Sarung Banggi Dance Troupe”- P8K; and 2nd Runner-Up “Tobog Pastores” of Oas, Albay – P5K. Mayor Noel Rosal declared Ibalong Centrum for Recreation the home of Bicol Pastores to add more fun and adventure in the city. Meanwhile earlier than this, DOT5 Regional Dir. Benjamin Santiago told DZGB News that he will bring Bicol Pastores to Manila to showcase the musical re-enactment of the nativity story.